Demand for crossovers has grown over the past few years. Improved MPG, more interior space, and improved utility have made these vehicles a more attractive option for fleets. The vehicle preferences of drivers have been evolving over the last few years, with a notable trend being the increased interest in crossovers and SUVs over sedans. Not only have consumer buying trends revealed this shift, but so have recent industry developments, such as Ford announcing plans to phase out most of its sedans by 2020 in favor of a North American portfolio comprised of 90% trucks, utilities, and commercial vehicles. Further still, drivers in China, Australia and other countries have had an increasing interest in SUVs/crossovers, according to a New York Times article. This trend is present in the fleet industry as well. Recent Automotive Fleet data has found that a number of fleets, including GEICO, Johnson and Johnson, and LabCorp, have revealed a reduction in sedans in favor of more SUVs and crossovers. But how does this trend impact fleet? Fleet Financials reached out to fleet experts from several fleet management companies to get their thoughts on the scope and impact of this change. 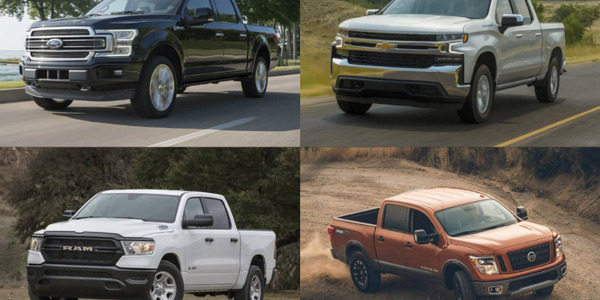 While not every fleet is taking part in the shift over to SUVs/crossovers, recent data has revealed certain fleet segments have gradually been making the transition. Indeed, John Wuich, VP strategic consulting services for Donlen, noted that in 2015 there was a spike in acquisition on sedans, both compact and intermediate. However, acquisition trends have changed over the last three years. “Since then, in each of the last couple of years, there has been a notable decline. From 2015 to 2016, there was about a 3% drop in sedan orders we were putting on the road,” said Wuich. “There was an even bigger drop in the segment from 2016 to 2017, as we saw an average 32% drop, almost a third reduction, with the intermediate group having declined faster than the compact group.” He added that the decline in sedans was witnessed in fleet segments such as the pharmaceutical and insurance industries. The transition to more SUVs and crossovers was also observed in other industries, according to experts. Also observing this trend is Jeff Krogen, assistant VP of fleet strategy for Enterprise Fleet Management. “Our clients have always leaned toward trucks, vans and CUVs/SUVs over sedans, but even clients that value cost above all else have been more open to switching from sedans to CUVs/SUVs in recent years,” said Krogen. This also includes sales fleets, he added. Many of the same reasons as to why fleets are gravitating more toward SUVs/crossovers are the same as why consumers are interested in the segment. Michael Singer, strategic consultant of Merchants Fleet Management, attributes some of the popularity in crossovers/SUVs in fleet due to the comparable fuel economy to sedans, increased interior space, and also the available AWD options, which make them well suited for snowy conditions. He mentioned that, in the past, fleets may have resisted SUVs partly due to their historically lower MPG. However, the evolution of the vehicle landscape has changed perception of the SUV/crossover. “They’re bigger, they’re roomier, and they can get the same fuel economy. Fleets are making the transition, and we’re seeing several manufacturers getting out of the sedan market and almost exclusively being an SUV based company,” said Singer. Further still, fleet experts mentioned fleet incentives from OEMs as another driver impacting the types of vehicles that fleets have leaned toward for their portfolios. Other reasons for the shift can be attributed to fleets using SUVs and crossovers to bolster employee satisfaction (due to roomier interior space, higher seating position, etc.) and as a tool to incentivize the retention and acquisition of new employees. “That narrow gap (between crossovers and sedans) can be a no-brainer when it comes to the benefits of employee satisfaction, increased head and leg room, greater visibility, and more flexible interior cargo space,” said Krogen of Enterprise Fleet Management. Singer of Merchants also mentioned that there’s more variance in utilization with SUVs versus sedans for drivers. Despite these trends, it’s important to note that every fleet is different. So, while several experts have observed this shift toward implementing more SUVs and crossovers, this has not been the case for every fleet, which may be partially due to company culture and concerns of how making the transition could impact the bottom line. 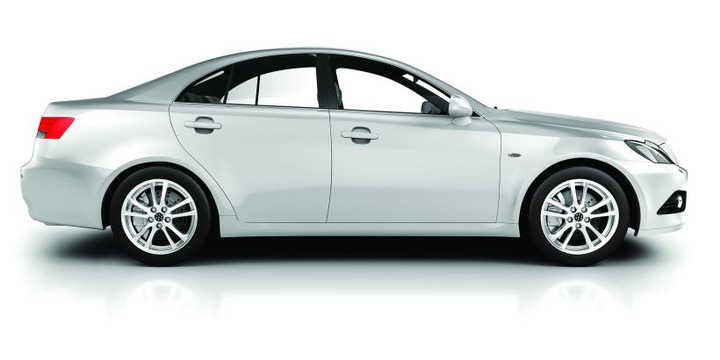 “The decision is largely based on TCO but also on what the fleet needs in terms of driver demographics, cargo needs for samples, etc,” said Shonn Glenn, director of account management with Wheels Inc.
Wuich of Donlen observed that automotive part fleets and some sales fleets have tended to hang onto the sedans in their portfolio longer, which he said may be attributed to loyalty to the dealers they acquire assets from, or loyalty to the vehicle segment itself. Meanwhile, ongoing changes to the vehicle landscape, including the SUV/crossover, may further change the perception of the segment in the industry. While sedans may have higher MPG and lower acquisition costs, their total cost of ownership may not be that much lower than a crossover/SUV. When acquiring new vehicles, the total cost of ownership (TCO) is always top of mind for fleets. Because of this, some fleets, especially those whose focus is on keeping acquisition costs low, may be put off by the generally higher MSRP. However, there are several important elements that have a direct impact on TCO that fleets should be aware of if they are considering implementing more SUVs and crossovers. And, beyond this, the overall TCO for certain crossovers and SUVs now more closely matches the average sedan TCO. Costolo of ARI, added to the sentiment of how the price of SUVs and crossovers can be offset by other factors that play into the segment. Related: TCO Champs: Crossovers or Sedans? But considering how much the segment has evolved to match the needs of drivers who have historically preferred sedans, other experts have mentioned that, for certain vehicles, the cost difference toward implementing SUVs or crossovers versus sedans is negligible. Indeed, Wuich of Donlen observed several fleets being able to make the transition to SUVs with minimal or no increase to TCO. This is due partly to volume incentives and the better resale demand on SUVs, he said. Some experts mentioned this could be due in part to a corporate focus in cutting acquisition costs in an effort to bolster the bottom line. But, Donahue added, it’s also important that fleets have close contact with their FMC to communicate concerns relating to this, as these discussions can help those interested in making the transition weigh their options. “It comes down to what type of sedans fleets are transitioning from and the crossover or SUV that they are transitioning to. This is vital to the conversation and determining the trends that are going to impact their overall bottom line,” said Costolo of ARI. Indeed, Bradley of Element elaborated on the necessity of considering the type of sedan and SUV that are being factored into the vehicle selection processes. When breaking down fleet spend, one top area fleets focus on is fuel. As mentioned, fuel economy for an SUV or crossover has generally been perceived as being lower than that of a sedan, making them once an unattractive fleet vehicle. Glenn of Wheels echoed sentiments as to why fleets had once resisted SUVS. Now that crossovers and SUVs have begun to match sedans in the MPG, the minds of some fleets have started to shift. 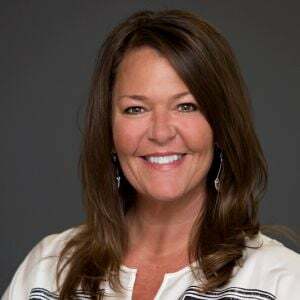 “Sedans still reign as TCO (total cost of ownership) champions, but lower fuel prices and better efficiency have closed the gap significantly,” said Krogen of Enterprise Fleet Management. However, this doesn’t necessarily mean that any fleet can, or may even be interested in transitioning to a SUVs/crossovers. It’s something that must be considered on a case-by-case basis, factoring vehicle utilization, and also depends on the type of vehicle the fleet is bringing into its portfolio. “SUVs and crossovers now tend to achieve strong fuel economy, similar to sedans. However, we caution our customers to not make a vehicle selection on fuel cost alone. When considering the move to SUVs, I advise our clients to look at soft cost factors including driver satisfaction and productivity,” said Glenn of Wheels. The volatility of the fuel prices is also something the fleets need to factor in when they are considering the transition to SUVs/crossovers. Even if the fleet is specifically seeking SUVs/crossovers with higher MPG, fuel costs will remain a concern. And with fuel being a major concern for fleets, this is often top of mind for management. Indeed, when it comes to assessing fuel, fleets have many options to consider with regards to the type of fueling of the vehicle. Langmandal added that fleets with global responsibilities may want to take into consideration CO2 emissions standards for countries outside of the U.S. when deciding on vehicles types they implement into their operations. “Global fleets are always looking for cleaner and greener vehicles that have a more efficient fuel economy,” said Langmandel of LeasePlan USA. The benefits of having an alt-fuel SUV/crossover were also echoed by Glenn of Wheels. “There are also many SUV options that offer hybrid technologies that give fleets the fuel economy typically associated with a smaller vehicle,” said Glenn. Generally, the transitioning of sedans to small SUVs/crossovers will not impact things in the realm of maintenance, and that’s driven mainly by the change of the build for vehicles of the segment. However, when it comes to the actual replacement, Donahue of Emkay mentioned that there may be a higher cost for SUVs in terms of tires and brakes. Costolo of ARI observed similar cost concerns relating to tire maintenance. “The concerns related to tire cost are partly due to the increased cargo capacity and load of the vehicle but also, the actual size of the tire plays a factor as well. There tends to be a difference there which adds some cost for replacements but otherwise the cost is fairly similar,” said Costolo of ARI. His TCO forecasting model also found the difference in overall maintenance costs to be rather minimal, a 1.5% increase on average when comparing crossovers to sedans. 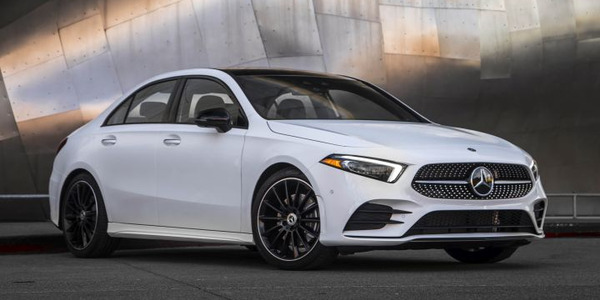 Mercedes-Benz USA will offer a $500 corporate incentive for its 2019 A-Class sedan that's slated as a more affordable entry model for companies now offering the C-Class or CLA sedans to sales associates. 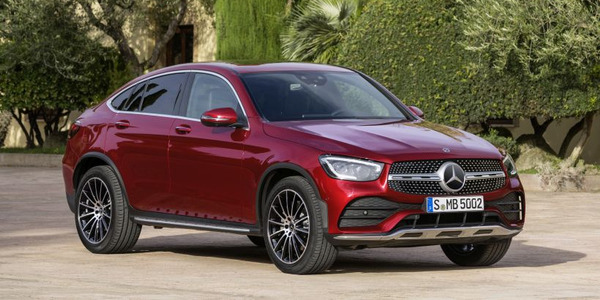 Mercedes-Benz will refresh its GLC luxury crossover lineup with 2020 models that will offer a more powerful engine and a technology update. 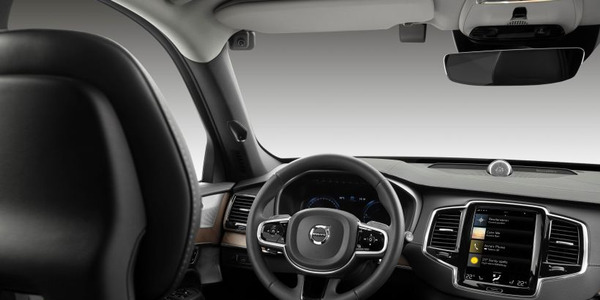 Starting in the early 2020s, Volvo Cars will install in-car cameras and other sensors that monitor drivers for intoxicated or distracted behavior and allow the car to intervene if the motorist does not respond to warning signals. 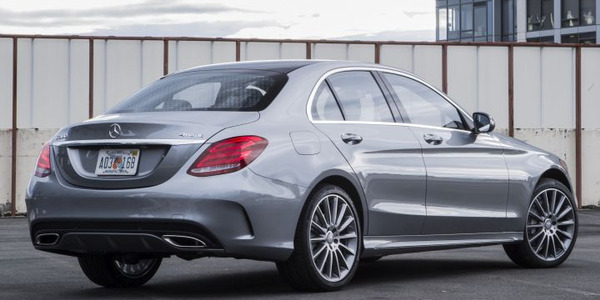 Mercedes-Benz is offering a 2.99% annual percentage rate of charge for qualified corporate purchasers of its 2019 C-Class sedan in March for financing terms from 24 months to 72 months, the automaker has announced. Sales of vehicles to commercial fleets declined 1.7% in February, while sales to government agencies increased 2.4%. Sales to daily rental increased 5.3%. 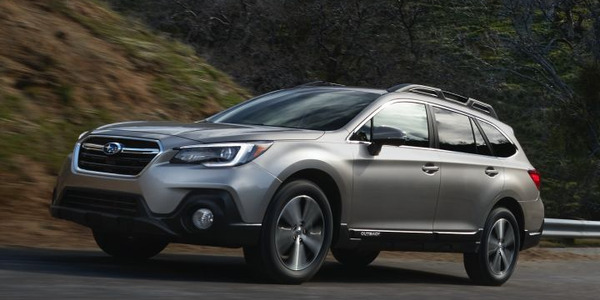 Subaru has updated the dates that commercial fleets hoping to order 2019-model-year vehicles must submit their orders by, the automaker has announced. 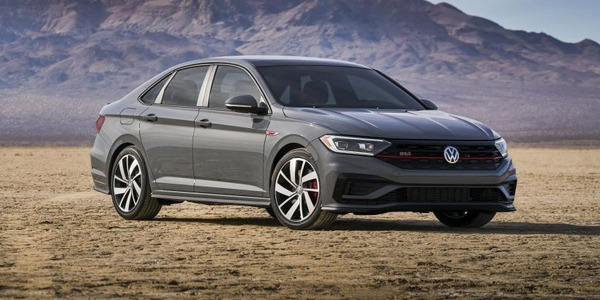 Volkswagen has debuted its sixth-generation Jetta GLI with more power, improved handling, and features from its Golf GTI and Golf R vehicles, at the Chicago Auto Show. In January, sales to commercial fleets fell 1.9%, while sales to daily rental increased 16.1%. Sales to government agencies increased 5.7%. Mercedes-Benz USA has increased the amount of corporate fleet incentives it will offer for eight of its 2019-model-year vehicles, including its core sedans and luxury SUVs, according to the company.